NEW! 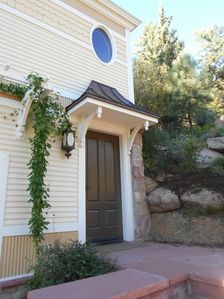 1BR Manitou Springs Cabin on the River! **Please note that there is another vacation rental unit on the premises, and there may be other travelers present during your stay. 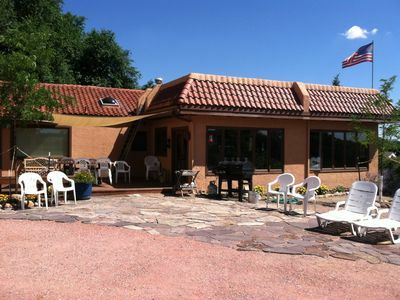 Experience tranquility when you stay at ‘Seven Bridges', a 1-bedroom, 1-bathroom vacation rental cabin that sleeps 4, right on the water of Fountain Creek. 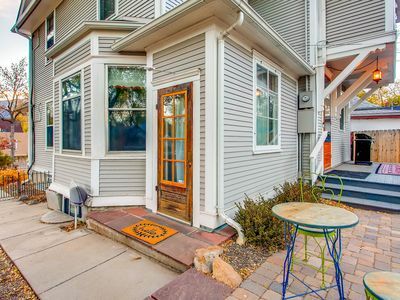 Only a short walk from downtown, this superb cabin is the perfect rental for couples and families who wish to explore the Manitou Springs area in the comfort of a home-away-from-home. 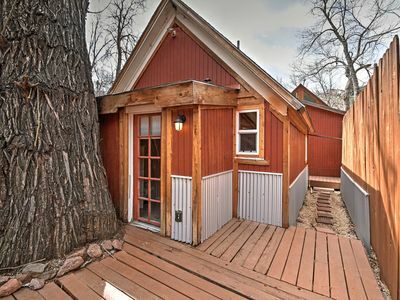 Enter the 500 square feet of charming decor and well-lit living space of this newly remodeled cabin. 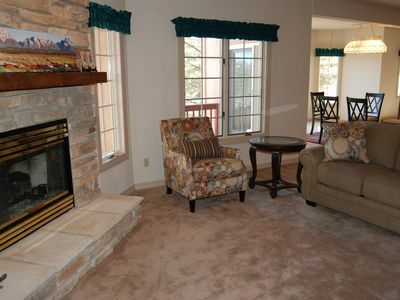 Soft new carpet and beautiful tile floors throughout the house make for a cozy and welcoming stay. The new stainless steel appliances in the kitchenette area make whipping up your favorite recipes a pleasure rather than a chore. 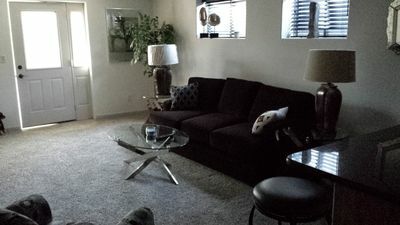 Just steps away from the kitchen and dining area is the comfortable living room sofa and 42" flat screen cable SmartTV. When the day begins to wind down, enjoy watching some of your favorite movies or television series on the cozy living room sofa. 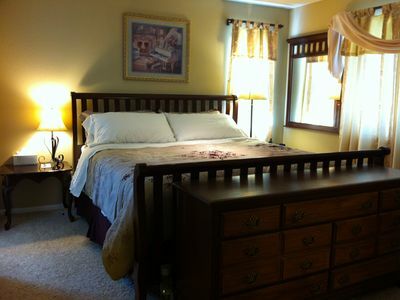 The master bedroom is complete with a queen-sized mattress and a modern style bathroom. 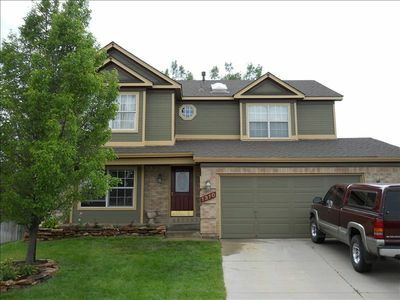 Enjoy sitting on the back deck complete with patio furniture and a gas grill. Sip your morning coffee or tea while listening to the river trickle by. In the evenings, grill up some of your favorite savory dishes on the shared grill just steps away from your cabin. 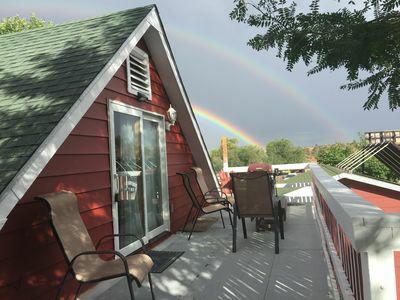 From the cabin, you'll have easy access to a wide variety of outdoor activities and entertainment that the Manitou Springs and the surrounding area has to offer. Walk to the quaint downtown area where shops, bars, restaurants, a penny arcade and zip line tours await you! Those who strive for intense outdoor adventures, enjoy a short Scenic drive to the Pikes Peak trailhead and then hike to the top of Colorado's most famous peak. From beginner hiking to shear cliff climbing, the trails offer a wide variety of expertise and challenges for all skill levels. There are numerous State Parks in the area ready to be explored, including a park that offers views of ancient cliff dwellings and Native American ruins! Garden of the Gods, Manitou Dwellings and Cave of the Winds are a just a few of the amazing parks you must see while in the area! Spend days exploring the area either through renting a jeep ora guided horseback ride. 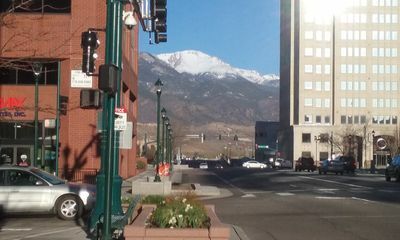 Jeep tours will take you to the Wolf Sanctuary and to the summit of Pike's Peak! 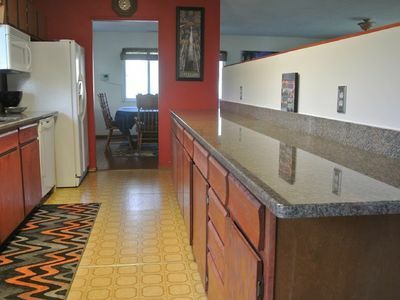 - Amenities include a well-equipped kitchenette, 42" flat screen cable SmartTV, wireless internet and more! 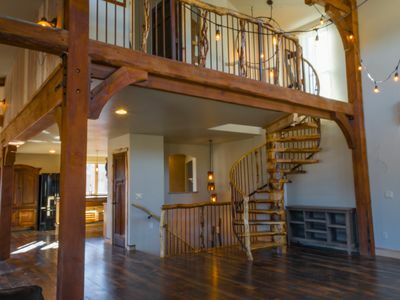 - Amazing Property - Nestled in the shade of large trees with a large balcony right on the water of Fountain Creek. 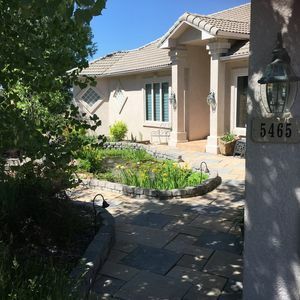 - Please note that there is another vacation rental unit on the premises, and there may be other travelers present during your stay. 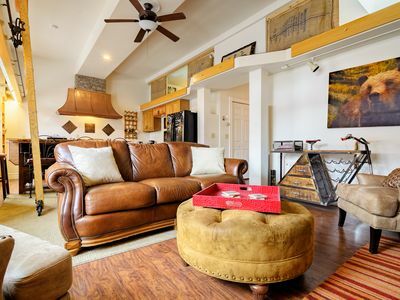 Please contact Evolve Vacation Rental Network to book multiple units.